made for Fiat with Krow for Oculus Rift and Google Cardboard. Headset on and suddenly there he is. Dynamo is standing right there, just a few feet in front of you, cards flicking between his hands. He turns away and climbs into a Fiat, ignoring physics as he drives off. 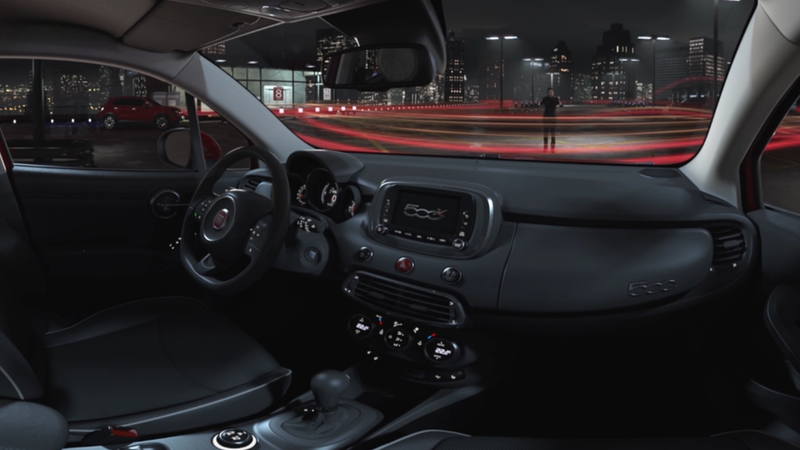 Suddenly, it’s you who’s inside, really inside the new Fiat 500X, looking over the dashboard in one of our most realistic VR experience to date, made for Fiat with Krow for Oculus Rift and Google Cardboard. Dynamo, who is the only live action element in the pre-rendered two-minute experience, was shot in stereo on two RED cameras by our live action production team. Everything else was generated in 3D and rendered at four times the resolution of HD, 60fps and in stereo, requiring the full force of the Framestore infrastructure to crunch through 184 years’ worth of CPU render hours. “One of the key challenges for the team was creating an engaging experience that still told a story,” says VFX Supervisor Russell Dodgson. The visual experience is complimented by a series of 4D elements including rumble packs and sound, with the latter essential to keeping the viewer engaged and leading them down the storyline. Each sound was positioned individually within 3D space so the user experiences everything at exactly the right moment. “I always enjoy a technical puzzle and finding solutions to problems, and this was definitely one of the more challenging projects I’ve been part of, almost like learning a new language! So I‘m very happy with how it turned out,” adds Russell.